Peter Singer, the academic relayed a story last year about the Polish and Ukrainian foreign ministers meeting. The Ukrainian FM asked about the cost of his Polish counterpart’s watch. $165 was the reply. The Ukrainians scoffed and told him his watch cost $30,000. The Pole replied that he needed his watch for hiking, to tell him GPS and practical tools. He then asked the Ukrainian why he had his watch. Any country where there are people known as oligarchs in the modern era has clearly making a stumbling start to life. Oligarchs can become respectable and respected. Take the families in Korea who started out as the chaebols, family conglomerates protected by the South Korea dictatorship Park Jung Hee. Today Samsung and Hyundai are world leaders in their field using innovation to even if they got there by copying Japanese technology! However oligarchs from carving up the resources leads to vast inequality as the near-monopolies seek to compete in the global market which puts pressure on the wages of the plant workers. The real issue though is how you get in control of the resources in the first place. Oligarchs like licensed merchants seek the approval and protection of the leader. In a centralised power like Russia it works as long as the great leader is working in a fairly benevolent way. Putin famously sat down the oligarchs in front of cameras and berated them for closing a plant, talking of their responsibility to the nation. This wasn’t the first time Putin has reminded these men of their responsibility. When he first came to power, in a secret meeting he famously told them who now ran the show and who they worked for. As it turns out, it’s him! This is where guy like Berezovsky fell out with him and then was found hung in the shower. Khordorkovsky made the same mistake. Ukraine is all across the news of late, the latest country to descend into protests and demonstrations rather than waiting for the ballot box. However in the Ukraine the trouble runs deep. The spark for the crisis was the failure to sign an accord with the EU after years of negotiation. The President Yanukovych’s reasoning was it would open up the economy and not give much back. 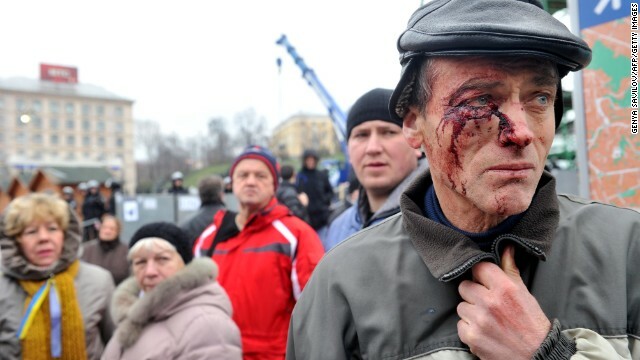 The fear was protected markets in the east of Ukraine would be vulnerable to foreign products. This is true but also the price of modern economics. If you want quality at a good price, the market is the best place to provide it. If you want to protect vested economic and social interests it’s not. 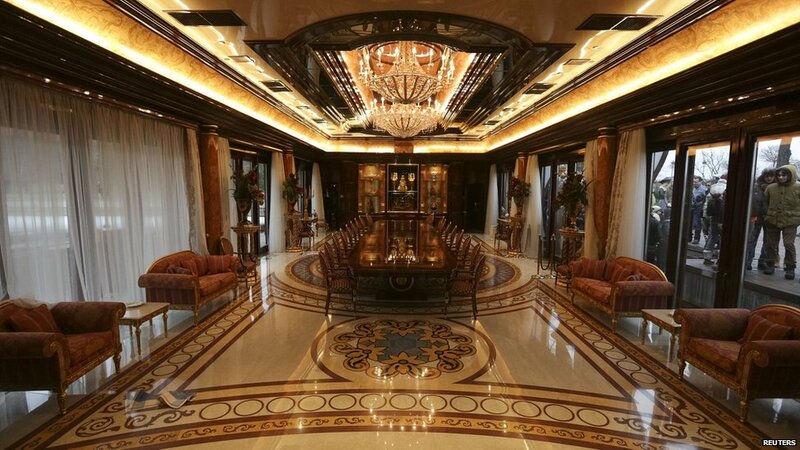 Others would contend Yanukoych is in the hands of the Russian state. Further Russia feared it would open up their economy, a far larger market to European goods via the backdoor. Again this would affect the same interests. These interests are of course viable concerns. They shouldn’t be downplayed. Poor economic performance doesn’t just affect political lifelines but also real lives. Sometimes many would prefer continuing along. The strain of the market can be overwhelming and would greatly impoverish parts of the Ukraine in the short-term. What happened next was the dealbreaker. 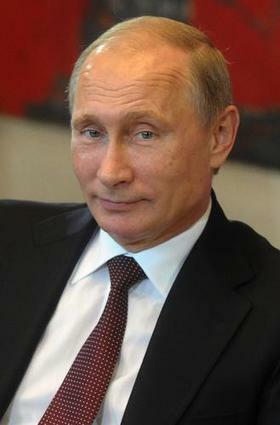 The President, a man with his powerbase in eastern Ukraine agreed a bond and finance deal with Putin. Here are some generalisations for you. The Ukraine is divided along language and cultural lines. The east speaks Russian as a first language The west Ukrainian. The east looks to Russia. The west to Europe. The east is the economic powerhouse with cities such as Donetsk and Kharkov making money in metal production and manufacturing. The west is the cultural home of Ukrainianism and its cultural heart. The lack of protests in the east is symbolic of how and where the country is going. We’ve seen this belligerent divide in Thailand and Venezuela recently but for different reasons. As noted in Syria, once they harden into camps, the country descends very fast and the nation, if it ever did, exists solely in the past. The pretence may continue on the official level but as the Southern Irish often say, they’re different up North. Russia of course has a history of interference to protect its Russian speaking brothers. Look up the interventions in Georgia, Serbia, Chechnya and Azberbaijin for evidence. Its defence of the Syrian regime is another example of its strategies. Remember the threats to European gas supplies or turning off the internet in Estonia! It doesn’t play by the rules, using hard power to force issues. A stubborn Russia is a tough nut to crack. Russia is genuinely worried about its market being flooded but there is also the long-standing (and now ridiculous) worry over encirclement by the West. It prefers it’s borders to be run by strongmen and in the east and south, it’s generally got it’s wish. But those days are over even as Russia maintains a pseudo-democracy home. The only way out of this crisis is political. No one is calling for a split in the nation as yet. It’s a test for the major powers. Can the EU finally gets its act together, put national interests together and become a true supranational force? Will Catherine Ashton have her heyday? Will they work alongside the US to stand up for democracy and to Russia? Will the Ukraine find a way out of its oligrachy and find new leadership? 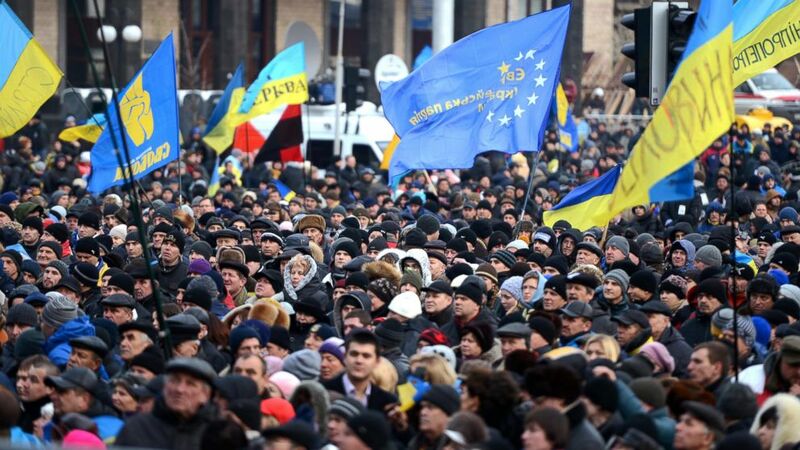 A lot will depend on when east Ukraine finds its voice. This is an epic piece of humilitaion. Oleg Deripaska. Russia’s richest man (note: you hold that title until Putin says so) is made to reopen a factory despite the fact that it is privately owned and losing vast amounts of money after the collapse of aluminium prices in 2009. The workers protested, Putin flies in, just off hunting semi-naked some other defenceless animals, gives a speech and forces the owner to re-open the factory. “You have made thousands of residents hostage to your ambition, your lack of professionalism and perhaps your greed.” “Come here and sign,” Mr Putin instructed Mr Deripaska, pointing to an agreement to restart the factory and holding out a pen. Mr Deripaska signed. “My pen—give it back,” Mr Putin then snapped. No doubt who works for who you think. The stony-faced presenters did not tell viewers that the agreement had in fact been reached before Mr Putin’s visit, nor did they mention that state-owned Vnesheconombank (VEB) had agreed to extend a $4.5 billion loan to Rusal for another year, even though the amount exceeds its normal limit on exposure to a single firm. The public would have been even more surprised to learn that a state bank would soon be offering to invest in Rusal’s planned initial public offering (IPO) in Hong Kong. The rescue of Mr Deripaska, in turn, is a sign of the ever-closer ties between the Kremlin and Russia’s oligarchs.